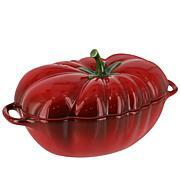 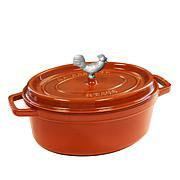 This beautiful tomato cocotte is so well-scultped we could just eat it up! 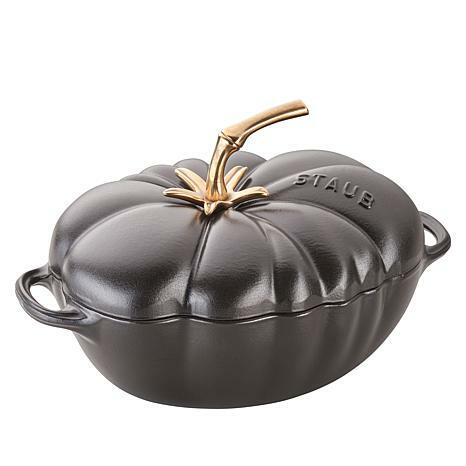 Staub has elevated the cocotte to an art form, and this one is such a joy to cook with, you'll find yourself reaching for it again and again. 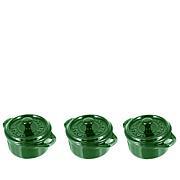 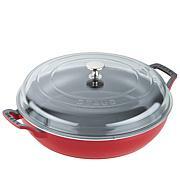 It's not-too-big, not-too-small size is just right for everyday dinners, and the matte enamel finish flows beautifully from oven to table whatever the occassion.